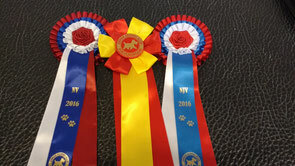 Danish Winner 2016 today. Judge Christiine Watson, Cyprus. 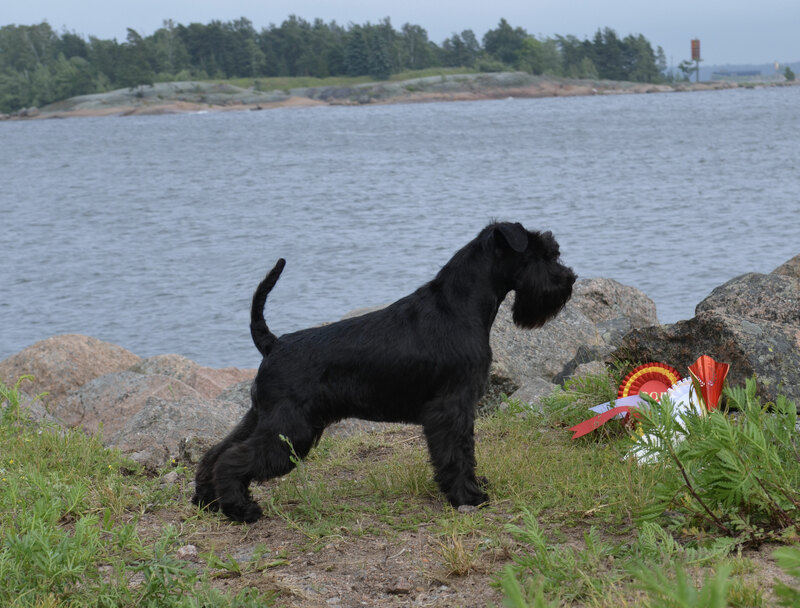 Our happy boy Nikitos (Raven's Tot Morning News) won Junior class getting title Junior Danish Winner 2016, and then became 2nd Best Male with CAC! 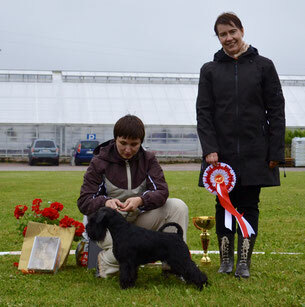 Sandra (Raven's Tot Keen Sensation) was 3rd in Champion Class. Now dogs and people are relaxing for tomorrow. Two International Dog Show in Pärnu, Estonia. Saturday, judge breed specialist Soile Bister, Finland. 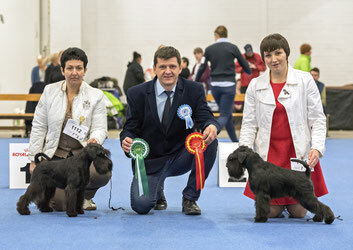 Sunday, judge breed specialist Viktoras Avtushko. 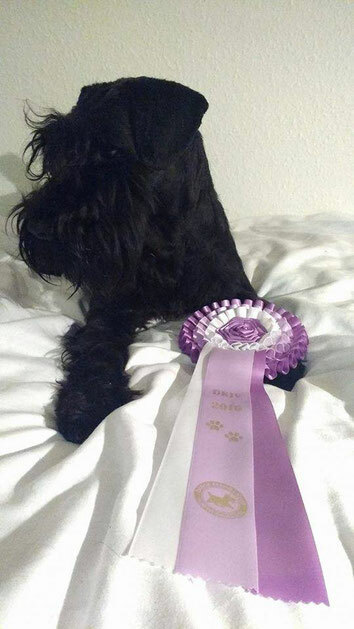 Our Britney - Raven's Tot Just Dance BOB, CACIB/ BOS, CACIB. In junior class we showed our male Raven's Tot Morning News (on the photo). 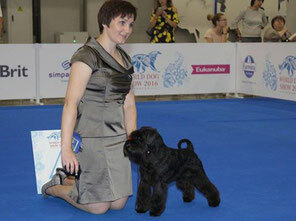 He was placed 4th by judge Olga Morozova! Thank you for kind words about our boy! 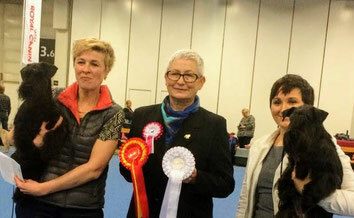 In champion class we showed female Raven's Tot Just Dance, who got today excellent from judge Erwin Deutscher. International Dog Show Kotkan Ruusu. 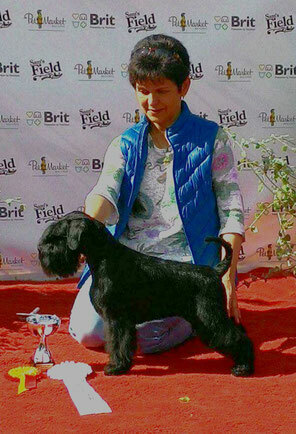 Raven's Tot Keen Sensation (Sandra) - CACIB, BOB!